Who’s your favorite male bodybuilder of old? Need some time to decide? 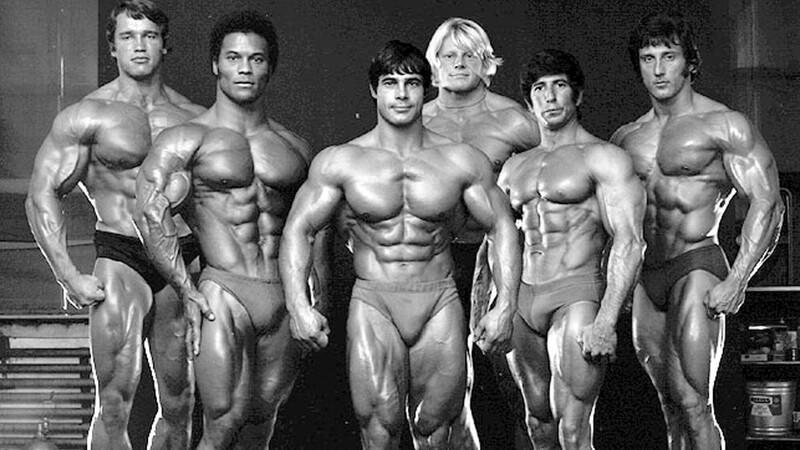 Let us take you back into the gym with the most famous bodybuilders of old. From Grimek through Schwarzenegger and beyond, we commemorate those men of iron who helped inspire us. Many people have stories of the first time they saw a bodybuilder grace the cover of a magazine. That image of a bulging tricep or thick back is still stuck in their mind. They point to that memory as the reason they decided to pick up a weight themselves. Dozens and dozens of these men come to mind as possible inspirations. Here at Iron Age, we celebrate those memories and those classic muscle men. Here they train on. Here they never age. Here they continue inspiring new generations to build classic physiques! The roots begin. Turn of the century muscle heroes takes hold of young men’s imaginations. Displaying heavy musculature for their time, muscle control and odd lifts define this era. New magazines create the model of the ideal man. Early stars of the muscle game create heroic images of health and fitness. Grand displays of balance and strength are part of some exhibitions. In this period John Grimek combines weight lifting prowess with an outstanding physique and is a legend among the fitness community. The Iron Age is in full swing. The magazines promote a new generation of amazing physiques to an eager audience. “Tissue drugs” begin to creep into the picture. Large increases in size combined with ultra leanness separate this generation from the era of Reeves and Grimek. It could be argued that the ideal male physiques were created during this period. The top of the bell curves so to speak. The greats of the 70’s dominate the early years by perfecting their offerings. Young champions emerge who refine and exceed what the previous decade produced. New drugs emerge which lessen the appeal of the physiques. This leads to the end of what we consider the Iron Age with the retirement of Lee Haney. The last great Iron Age Champion.